Want to learn how to play bass or guitar? Welcome to Small Steps Music! 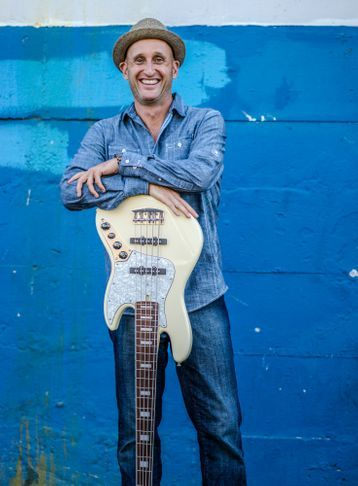 I am a bass and guitar teacher based in Redwood City, CA with 25 years of playing experience! I love music and love teaching people of all ages! If you’re looking to learn bass guitar, acoustic guitar or electric guitar, you have come to the right place! You can find out more about us and our school's structured lessons on the tabs above. You can also check out our Yelp listings if you like for reviews. It would be my pleasure to be your teacher, so take a look around and I hope to hear from you soon! He's (Dave's) very structured and teaches music theory in a way that's practical and actually understandable! Growing up, I took tons of music theory classes but Dave makes the concepts accessible. I love that I can now solo and jam with others now too, instead of playing the same pop chords over and over again.